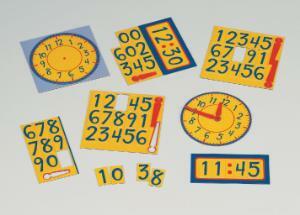 Hands-on practice with clocks, coins, and bills help students better understand concepts of time and money. 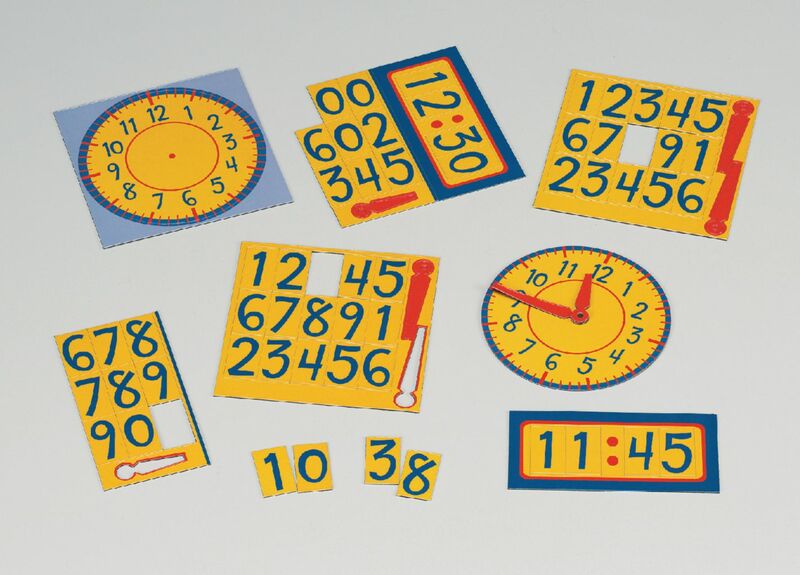 THe magnetic clock set includes faces of analog clocks with magnet hands that adhere easily to the face to indicate any time and digital clock faces with numbers that stick to the magnetic surface. The bills and coins use both front and back views of the money. They will stick to any magnetic surface, such as blackboards. WARNING: CHOKING HAZARD- Small parts. Not for children under 3 years.